PLANETOID #1, the debut of comics creator Ken Garing published by Image Comics, has sold out at the distributor level and will be reprinted. Entirely written, drawn, and lettered by Garing, PLANETOID tells the story of Silas, a hardened space pirate who finds himself stranded on a barren sphere made of scrap metal with no way to escape. 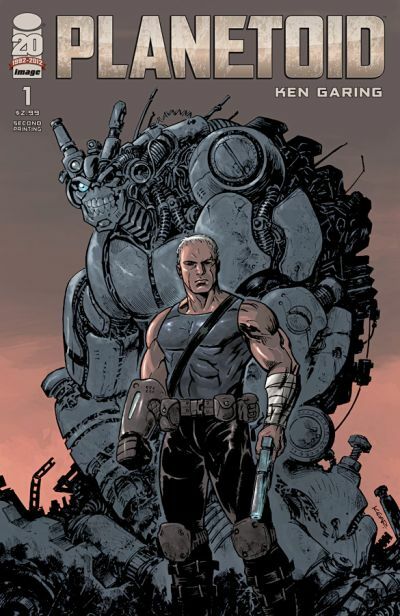 The second printing of PLANETOID #1 will be in stores on July 11, the same day as the second issue. It is available to order now with the Diamond code MAY128123.